This is the 45th episode of the show released to the web on January 9th 2014. This show features Rak Razam, a new guest to the show. Rak is a freelance journalist, author, film maker, and podcaster from Australia doing a lot of work covering the entheodelic community or psychedelic medicine communities around the world. 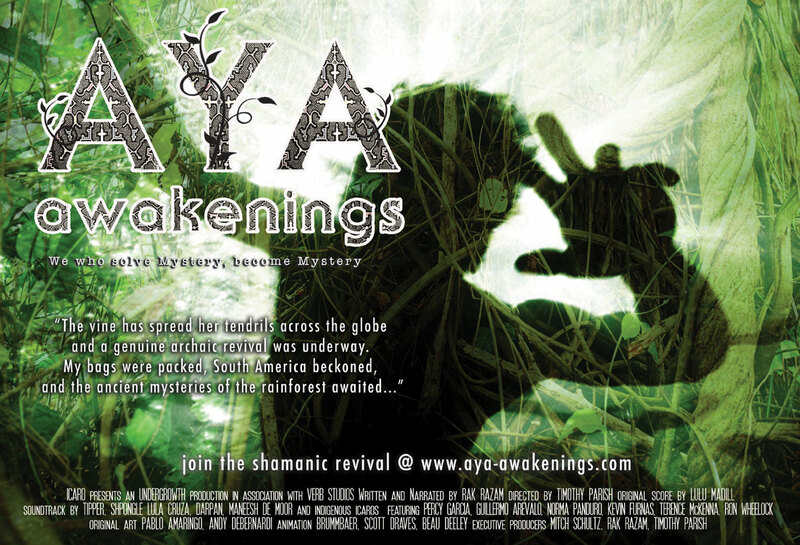 I just finished watching Rak’s newly released film “Aya:Awakenings”. It is a stunning film that pulls from Rak’s Book that is Titled “Aya: A shamanic Odyssey” and was newly released as “Aya: Awakenings – a Shamanic Odyssey”. In this show we cover subjects all over the map including how the western magical practitioner may approach this area and practice. How Shamans see Ayahuasca functioning on the health and healing of individuals. Some of the metaphysics or cosmologies surrounding Ayahuasca Shamanism and much more. This was an amazing show to record, and I can’t wait to turn some more people on to his films. Rak will be touring North America with the film starting with New York on Jan 16 2014 and He’ll be in Boston on January 21. This entry was posted in podcast and tagged Amazon, Australia, Ayahuasca, Entheodelic, Entheogen, Permaculture, Psychedelic. Bookmark the permalink.